This fun one day jewellery course in Beading will introduce you to a range of basic beading techniques so that, by the end of the day, you’ll be able to take home a beaded necklace or bracelet of semi-precious stones or freshwater pearls. You will also learn where the best beading suppliers are, the varieties of beads available and the tools required. 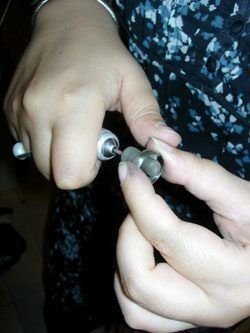 Whether you’re looking to make jewellery for fun or start your own jewellery making business, this is a great class for learning the basics so that you can carry on making jewellery at home.